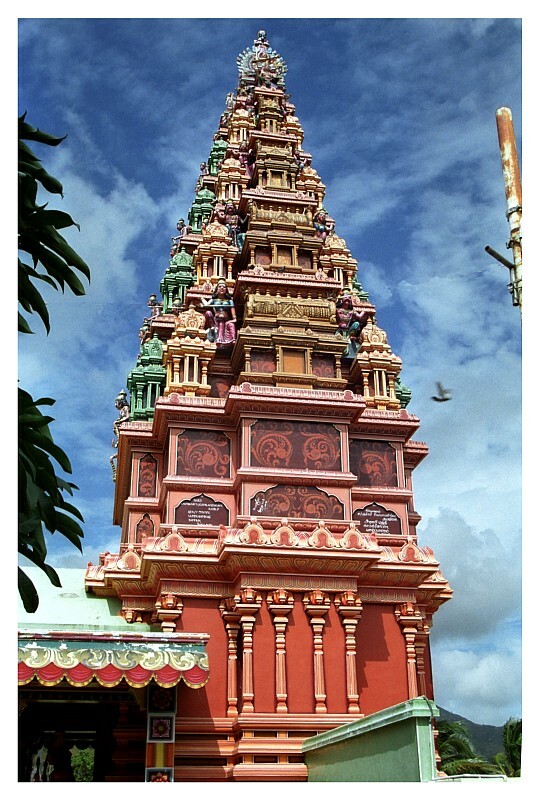 In a historic religious event that occurred on Saturday, May 31, 2008, eight Americans were formally welcomed into the ancient tradition of Sanatana Dharma (Hinduism) in a sacred initiation (diksha) ceremony at the Hindu Temple of Nebraska. The ceremony was overseen by Sri Dharma Pravartaka Acharya (Dr. Frank Morales, Ph.D.), the Resident Acharya (Spiritual Preceptor) of the temple, and Professor Alekha Dash, who conducted the traditional fire ceremony (yagya) central to any authentic Hindu initiation rite. Though Hinduism is not a religion that overtly seeks converts, many Americans and Europeans have nonetheless enthusiastically embraced the tradition in the past. This represents one of the first times in history, however, that such a large number of Americans have been welcomed into the tradition at one time. In accepting Sri Dharma Pravartaka Acharya as their guru (spiritual teacher), these newly committed American Hindus vowed to devote themselves to living a Dharma lifestyle, to meditate upon God each day, and to express compassion toward all they encounter. Included among the new initiates were: two professors, a practicing psychiatrist, a retired lawyer, and a nurse, among others. In a related historical development, Ms. Heather "Tulasi" Mortensen was awarded brahmana initiation during the same ceremony, and awarded with a sacred thread. Though traditionally Hindu women were known to have been given sacred threads during Vedic times, this practice came to a stop at some point in the history of Hinduism. Thus, this thread-giving ceremony (known as upavita-samskara in Sanskrit) represents the very first time in world history that a non-Indian women has been awarded such a sacred thread. Sri Acharyaji stated to the large audience observing this event that "I know that this historic precedent is only the beginning of the reclamation of an ancient and important Vedic tradition. My hope is that this represents only the first of many thousands of women who I will see awarded the sacred thread in my lifetime." The two hour event was followed by a celebration dinner in the temple's auditorium. It must be noted that the term ‘Hindu’ and ‘Hinduism’ is not found in any of the important ancient religious texts associated with Hinduism. The word ‘Hindu’ came into being with the arrival of Muslims invaders. They called the people who lived along the Sindhu River as ‘Hindu’ and the place ‘Hindustan.’ The term Hindu and Hinduism was first widely used by the British. The Hindu word for religion is Dharma i.e one that holds society together from disruption and disintegration.2 So for a Hindu religion is ‘Sanatana Dharma’ – The eternal religion. The earliest evidence of Hinduism is found in the Indus Valley civilization (3300–1700 BC). Several figurines unearthed from here are 3-faced indicating them to be the forerunner of Hindu trinity and some quite similar to Lingas – the worshipping form of Lord Shiva. But it must be understood here that the cultural level and style of living of the people of Indus Valley Civilization was of the highest kind and it cannot be attained overnight. They might have attained such high level through steady progress over the years. So it would be right to say the earliest seed of Hinduism was laid hundreds of years before Indus valley civilization flourished. Next controversy is regarding the arrival of Aryans which traditional historians say happened between (2000 – 1000BC). This again is challenged by several scholars. Aryans were a nomadic people and they brought with them their forms of worship and integrated with those already existing. Aryans were mainly nature worshippers. Another important factor the traditional historians ignore, when dealing with the History of Hinduism is the existence of Dravidians. The Dravidians had their form of worship which is quite similar to modern day Hinduism. As we dig for the history of Hinduism it only adds to the existing confusion. Most historians shy away from fixing a particular period mainly because their claims will be easily challenged by other scholars. Each and every theory regarding the origin of Hinduism has been challenged and it is an ongoing controversy. Hinduism believes that everything is from ‘Brahman,’ which is without a beginning and end. And therefore it is futile to search for the origin.